Is your expat segment homogeneous? Marketing opportunities also exist when you have heterogeneous audience. The ideal target audience for any advertiser is a mass homogeneous group who share the same wants and needs. In theory, a homogeneous type of target group will allow the advertiser to address a large amount of potential costumers with less effort and resources than needed for a heterogeneous group of people. In practice, mass markets are often saturated and highly competitive. To grow beyond mass markets, advertisers need to look for new “niche” targets. Expatriates, for example, are a very attractive niche, as they are looking for new products and services – and are not yet familiar with established national brands. In theory, you only have to get in front of them to sell your product. But what if your audience isn’t concentrated in a single place? In some cases, immigration is predominantly from a certain region, making the challenge a bit easier. A good example would be Chinese immigration to various places in the world, creating “China towns” around the world. In this case, most advertisers will find it easier to target a group that shares more or less the same language, traditions and beliefs rather than a multinational group – depending on the product of course. How can you reach a diverse expat group? Not all expat markets are as concentrated. Take Australia, a country of mass immigration. People of varying nationalities are emigrating to the Pacific continent. There are various reasons that immigrants move to Australia, such as fresh start, improved income, natural resources, better education, or even war refugees who seek to escape violence and crime. Despite being a mass market, Australia is a challenge for expat advertisers due to the different cultures and consuming habits of the new immigrants. 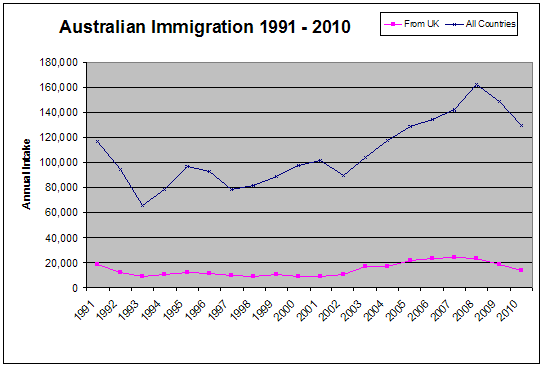 On the other hand, the good news for marketers is high immigration is usually an indication of a population growth. There is more diversity and more segments to target. In this situation expat marketers will need to choose specific segments for their expat advertising, and adapt their messaging and media choice specifically to these target groups. For example, it might make sense to identify the three most attractive nationalities moving to Australia, targeting them in their native language and in the media they read. Big multilingual sites like Just Landed or Expat Blog allow for such targeting, but in most markets there are also a range of niche sites catering to specific expat audiences. Of course, this microtargeting can become quite tedious and time consuming. For the expat advertiser it simply means one thing: Once you have identified expats as an audience, the work has only just begun. Posted in Expat Campaigns.Tagged expat marketing, heterogeneous segments, homogeneous marketing, marketing segments, targeting expats.